With the Rugby World Cup drawing closer and closer, it is a good opportunity to examine the top teams to see how they can best position themselves to win the competition. Everyone’s second favourite side, the number one form team of international rugby are about to find out what it means to be the hunted and not the hunter. There is nothing more frustrating than having every performance compared to your best game. I call this Kieran Read disease, and if Ireland turn in a single performance in this year’s six nations like they did against Australia, France and Argentina during 2018, the press will be full of ‘have they peaked a year too early’ stories. Add to this an expected rising tide of rumours that Joe Schmidt will be joining the All Blacks’ coaching staff in 2020, there will be lots of internal focus for Ireland to deal with this year. For a side that has never made it past the quarter-finals, the prospect of South Africa or New Zealand waiting for them away from the safety of Dublin will never be far from the front of the mind. As brilliant as Rory Best was at home against New Zealand there is no way his ageing legs and wobbly lineout throw will manage four tough games in two months in Japanese conditions during September/October, and the slow service from the base evident in the Australia series in 2018 has the potential to cause genuine gain-line issues in Japan as it did in Australian hard ground conditions. As efficient as their game plan is, and it is magnificent in its organisation, I wonder if Ireland have the game to generate tries if they go a score or two behind. The seriousness of Cane’s neck fracture in South Africa seemed to be downplayed in the New Zealand media and it will be a long road back for a player who needs game time to be at his best, but the good news is he is ahead of schedule. He is the Ben Smith of the Black forwards. Always in the right place, his decision making at ruck time is peerless and that innate ability to play most of his game in front of the gain-line at tackle and offensive ruck time makes Cane the unsung cog of this New Zealand outfit. If there is a word to describe Cane’s contribution it is connectedness. Never isolated, always in the same picture as the ball, his work rate is vital to the All Blacks’ chances. Should mention the massive improvement in Ardie Savea’s game during the EOYT, and it was his attention in remaining connected during key moments which impressed. The All Blacks turned history on its head with two Rugby World Cup wins in a row, three is either fanciful or legendary. Post the Richie McCaw/Jerome Kaino era, New Zealand’s ability to dominate the loose forward carry metres stat has disappeared. While this is somewhat offset by a system that sees Andy Cole and Codie Taylor carry in the wider channels allowing the captain to play tighter, dominating this part of the game has been critical to New Zealand’s success over the last decade. As much as the Highlander in me hates to admit it, Liam Squire’s inability to play both sides of the ball fully in an 80-minute period is likely to see him replaced by a better carrier come Rugby World Cup time. Ben Smith is a fullback, a pretty handy one at that, any experiments in having one of the games smartest footballers playing anywhere outside of the custodian role are surely over. The lack of control from Beauden Barrett in the 10 shirt remains, although his post-SA loss kicking stats of 90per cent are a real bonus if he can maintain that. With regard to the new, enhanced Steve Hansen game plan, I for one have no idea what it is, either fix or dump, right now. Now this is not meant in any malicious way, but the only time this England side seems to make forward strides is when there are injury-enforced changes pushed onto Eddie Jones. He seems stuck in a time warp for whatever reason and the recent selections of Dan Coles and Mike Brown in his squad for the Ireland game reinforce this. Here we are three years into the Jones era and it doesn’t appear he has a lock on his best combinations at 6/7/8, 10/12/13 nor 11/14/15. 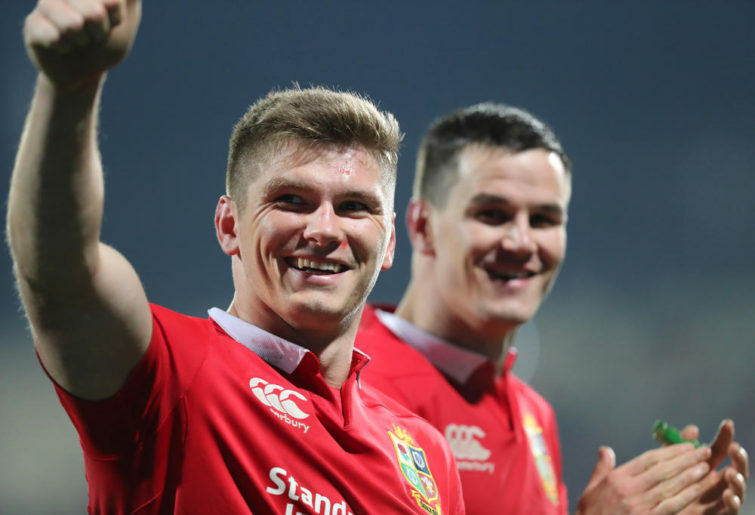 All experiments at 6 have come up short, no one has their hand up for 15 except a bloke who can’t get a run in the white jersey and he is going to have to revert to basher at 12 to both carry the ball and protect Owen Farrell. The lack of settled combinations in the positions noted above will continue to be a problem as is the lack of pace in the loose forwards, exacerbated by the injury to Sam Underhill – the lack of an expert at 6 and a wobbly lineout remain potential issues. With Dylan Hartley out, Owen Farrell will take the mantle of captain and on the evidence of the EOYTs, it looks a step too far for him. Though he is committed to the cause and critical for both kicking from hand and goal kicking, his defence was found horribly wanting in the critical moments against both Australia and New Zealand and a recent sit down for another high shot while playing for Saracens showed his tackle technique issues persist. At the pointy end of a Rugby World Cup, you don’t want him sitting on the naughty chair like he did during the 2015 Rugby World Cup group game vs Australia. I have a sneaky suspicion that despite plenty of cattle, England’s inability to physically dominate the second-row contests will hurt them this year. Being able to turn out world-class performances when New Zealand are about is not going to be enough to win you a World Cup. Losses against Australia, Argentina and Wales in 2018 and recent memory defeats to both Italy and Japan reinforce the yo-yo outcomes generated by the Springboks. For all his potential upside, the Rassie Erasmus win ratio is more Michael Cheika than Hansen. We saw in both Wellington and Pretoria that there is defensive steel in this SA side that has been missing in recent years, and given that most Rugby World Cups have been won by the defensive side this should be a positive. I say should because this required a level of physical energy is going to be tough to replicate week after week at World Cup time. We saw in the home game versus New Zealand how when they should simply have wrapped up the game with ten minutes to go, they were spent and the All Blacks went straight over the top of them. There is a simplicity to the Erasmus game plan which benefits the current South Africa squad, but the relative weakness of the bench and too many little fellers in that back line for my liking means the potential for a blip at an inopportune time remains. Faced with a dilemma Rugby Australia failed at the first hurdle (ok, maybe this wasn’t the first hurdle). My favourite business CEO and author Barry Gibbons notes that when a layer of management is clearly not performing, then you should immediately remove it. RA decided that adding layers was the way forward for them. 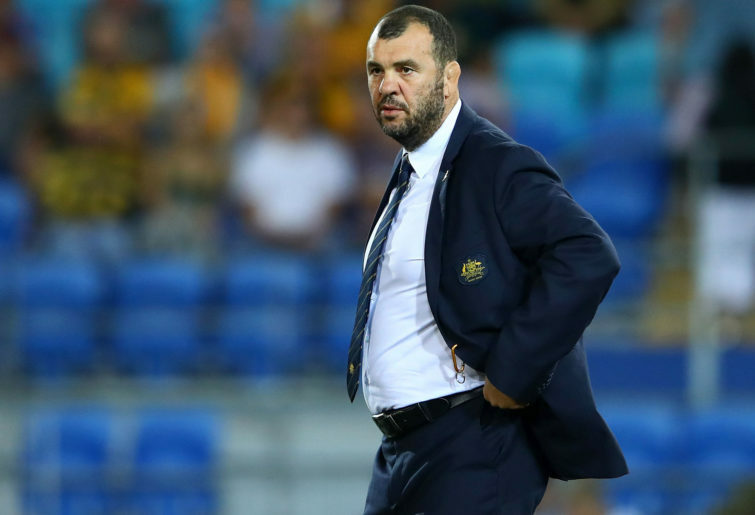 Not only that, but this was done to allow coach Cheika to spend more time focused on on-field matters, ie the very stuff he actually needs some help with. Even the most diehard Wallaby fan would struggle to argue with the contention that 2018 side were the most tactically naïve side ever to ever pull on the yellow jersey (except Drew Mitchell of course). Pick a seven, any seven, but you are only allowed one. Whoever is the most complete fullback, no matter who he is or how many internationals he has played, must be selected in the 15 jersey. Admit the current game plan just isn’t up to it and revise. These guys need to win something – and it has to be the Six Nations this year. Warren Gatland’s Wales have a 50 per cent record against Joe Schmidt’s Ireland, the same as both England and New Zealand. Gatland is a very clever coach, and his key talent is being able to devise ways of stopping his opposition playing. The Australia hoodoo is off their back and a win over South Africa will bolster confidence, but these guys need to win the Six Nations to have a big shot in Japan. For all their improvement in the world rankings, it is hard to see where this Welsh side is going to be dominant against the big names. They arguably have the best collection of loose forwards to choose from but are going to beat sides up in the forwards or stretch sides consistently in the backs, looks a little tough on both counts. Will being able to stifle the opposition be enough, probably not, and being able to dominate more than one facet of the game is going to be needed for the Welsh Dragons. Agustín Pichot from World Rugby. A gag and a taxi – now.